David joined DiMonte and Lizak in 1996, and became an equity partner at Di Monte & Lizak in 2005. David T. Arena is an accomplished trial lawyer. He handles matters in state and federal court, including trial and appellate work, and represents clients in mediations and arbitrations. David’s practice focuses on commercial law matters, including business disputes, contract and construction law, mechanic’s liens, mortgage foreclosures, bankruptcy and debt collection, municipal law and probate litigation. David also handles personal injury claims. David received his Bachelor’s Degree in political science from Loyola University of Chicago in 1993, where he was a member of the Phi Sigma Alpha National Honor Society and recipient of the Presidential Scholarship. David received his law degree from Cleveland Marshall College of Law with honors in 1996. In 1995, David took first place in the Cleveland Marshall College of Law Moot Court Competition, where he received the Dean’s Moot Court Award for Outstanding Advocate and the Hugo Black Award for Outstanding Oralist. David participated in the 1995 ABA National Moot Court Competition, where his team was awarded Best Ohio School and Best Respondent’s Brief. In addition, David was awarded the Cleveland Marshall Law Alumni Scholarship Award consecutively in 1995 and 1996. David Has chaired DiMonte & Lizak’s Litigation Committee since 2013. He is a member of the ISBA Construction Law Section Council since 2015, has coauthored 2 chapters of the 2014 Edition of the IICLE Mechanic’s Lien Handbook, has recorded 5 consumer information videos on topics of construction and mechanics liens for the ISBA and has participated in multiple ISBA presentations. David is also very active in the community where he serves on the Park Ridge Chamber of Commerce Board of Directors since 2015 and on the Park Ridge Farmers Market Committee since 2009. David is currently training for his black belt in Tae Kwon Do. Ask A Lawyer: How do I change my construction contract? Ask A Lawyer: What should be included in a construction contract? 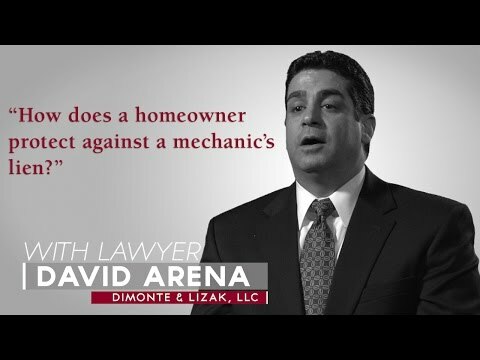 Ask A Lawyer: How does a homeowner protect against a mechanic's lien? Ask A Lawyer: What is the Illinois mechanic's lien act? 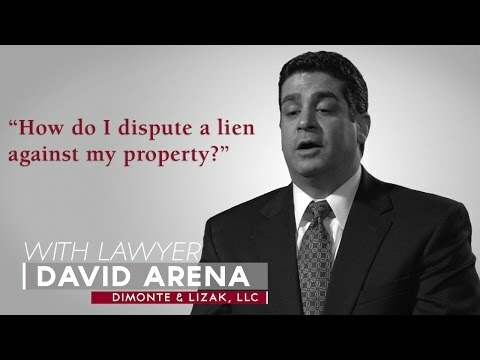 Ask A Lawyer: How do I dispute a lien against my property? Loyola University of Chicago, 1993, Bachelor's Degree in political science. Cleveland Marshall College of Law, 1996. Law degree with honors. How Do I Change My Construction Contract? How Do I Dispute a Lien Against My Property? How Does a Homeowner Protect Against a Mechanic’s Lien? What Is the Illinois Mechanic’s Lien Act? What Should Be Included in a Construction Contract?